Catriona McAra is Curatorial and Exhibitions Manager at Leeds College of Art. She wrote her PhD at the University of Glasgow and completed a postdoctoral fellowship at IASH (2013-14) on surrealism and creative ageing. Her first book is forthcoming with Routledge. Our great, [great] aunt was Charlotte Augusta Leopoldine Marsh (aka CALM or Charlie) (1887-1961). She was one of the first suffragettes to go on hunger strike, and later, during World War I, served as chauffeuse to David Lloyd George. She was one of the most effective, professional organisers of the Women’s Social and Political Union working at various moments in Yorkshire (1909), Oxford (1910), Portsmouth and Southampton (1911-12). Though as active in the movement, she was lesser known than her friends Emily Davison, Mary Leigh, and Flora Drummond, but no less important to the cause. She helped raise funds for Emmeline Pankhurst’s car, and would occasionally drive the Pankhurst family to rallies. Charlie was often chosen to lead rallies due to her height and striking features. During the funeral procession for Davison (who, as readers will know, died under the hooves of the King’s horse at the Derby), Charlie appeared in the guise of Joan of Arc, in a white and golden gown, in tribute to her friend. Charlie was the daughter of the painter, Arthur Hardwick Marsh (1842-1909). She initially trained as a sanitary inspector because she had been shocked by the living conditions of the poorest women and children in Tyneside. This commitment to social reform characterised her whole life, becoming an activist in the women’s movement from 1908 and having a long history of public service after the first world war, including working for the Women’s International League for Peace and Freedom. Charlie’s ‘criminal career’ began in June 1908 when she was arrested for obstructing the police in Parliament Square and sent to Holloway Prison. In 1909 she was arrested for a second time after throwing slates at Prime Minister Asquith: using an axe to loosen them; and arrested and imprisoned again in 1912 for breaking windows. It was during these periods in custody she went on hunger strike and was forcibly fed. Charlotte Marsh was perceived as a dangerous woman. Her story is striking when one considers the series of institutional spaces she moved through – thresholds of activism and transgression: the roof, the prison, even the driver’s seat! Importantly, Charlie lived her politics; she choose an occupation which would help others, and was prepared to stand up to oppression and take the consequences in campaigning for equality and justice. What is the legacy of such a figure? How has this ancestry shaped our thinking? What have we learnt from her? 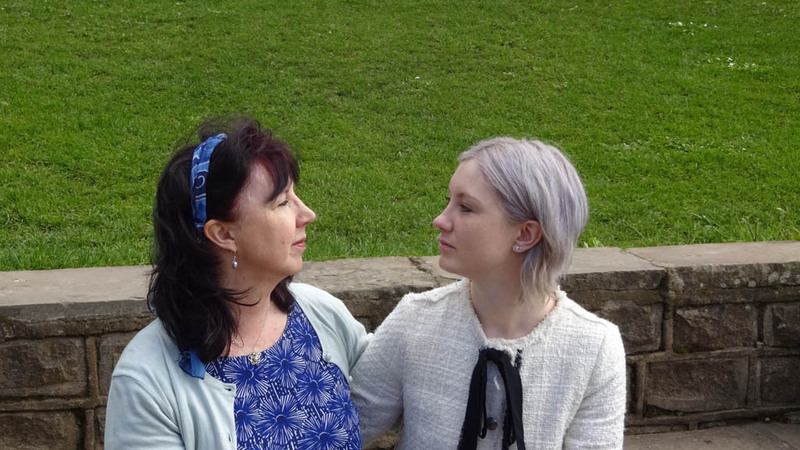 As mother and daughter, we come from different disciplines (Criminology and Curating), but we share a world view inherited from Marsh. Our strong belief is that Universities can be engines for positive social change, and that scholars should place their research and teaching in the service of communities and the wider world, supporting good health, economic growth, cultural understanding and well-being. This requires both transgression and political activism. Here we reflect on these imperatives from our own disciplinary backgrounds. Curatorial practice underpinned by feminist aesthetics challenges dominant narratives in the representation and rearrangement of art. In this context, curation is a mode of disruption, a methodology that curates subjectivities as much as artifacts: an inherently political form of practice. Catriona has chosen to work with transgressive and predominantly female artists who have: reframed and played with conceptions of identity (Rachel Maclean) and bodily integrity (Samantha Sweeting); and played with constructions of agency and power (collaborating with photographer Alicia Bruce to represent the Menie Estate battle against Donald Trump). She has also worked with artists whose variant practices transformed in older age and who broke through conventional and more linear narratives of artistic movements and instantiations of practice (for example Dorothea Tanning and Leonora Carrington). In doing so, Catriona aims to position the art school as a motive force: promulgating an inclusive mode of knowledge production, reaching out and speaking to all sections of the community. Criminology is fundamentally an applied discipline, aimed at understanding individual behaviours and the nature and function of criminal justice institutions. Throughout her career, Lesley, has aimed to bring the findings of research to bear on questions of policy and practice: with a commitment to promote greater justice for young people who come into conflict with the law. The findings from the Edinburgh Study of Youth Transitions and Crime (which she co-directs) are challenging because they indicate that the criminal justice system essentially curates its own client group – with biases in institutional decision-making practices resulting in a group of young people from the most deprived communities being constantly recycled into the juvenile justice system, whilst the behaviours of their more affluent counterparts tend to be overlooked. Contact with systems of justice, rather than helping to lift young people out of poverty, serve instead to entrench them in poverty and thereby reproduce the conditions which place these young people at further risk of systemic processing. Working to transform these curatorial practices requires exposing longstanding institutional norms, campaigning in collaboration with human rights groups, and critically engaging politicians and policy-makers. It also requires resilience and persistence in face of media onslaughts and sometimes vitriolic twitter-feed. Taking the messages from the Edinburgh Study to a wider set of publics, requires more imaginative modes of knowledge dissemination, including story-telling, art, photography and drama. Our work in Curation and Criminology, intersects both theoretically and methodologically. We acknowledge that scholarly development requires edgework, and the confidence to experiment with modes of expression and communication. We also recognize that advances in knowledge require transgression, not only in terms of conceptual framings, but also in the institutional spaces in which scholarship occurs. For us the street, the prison, even the inside of Lloyd George’s car (! ), present spaces which shape subjectivities and present opportunities for engagement and transformation. And finally, we both address questions of identity and agency, and the power dynamics which underpin their expression and representation. Our history has taught us that socially responsible scholarship requires us: to burst through entrenched paradigms; to continually test ourselves and challenge our own boundaries; and last, but not least, to speak truth to power. As researchers and feminists, should we be CALM in the face of oppression? The answer is yes! Atkinson, Diane. The Suffragettes in Pictures. London: The History Press, 2010. Crawford, Elizabeth. The Women’s Suffrage Movement: A Reference Guide 1866-1928. 381-382. London: UCL Press, 1999. Click here to watch a short documentary about the residents’ battle against Donald Trump at the Menie Estate. Find out more about the exhibition programme at Leeds College of Art here. Find out more about the Edinburgh Study of Youth Transitions here.